Welcome to 'News from the Valley', a seasonal update from all of us here at Frenchman's River, Cygnet. 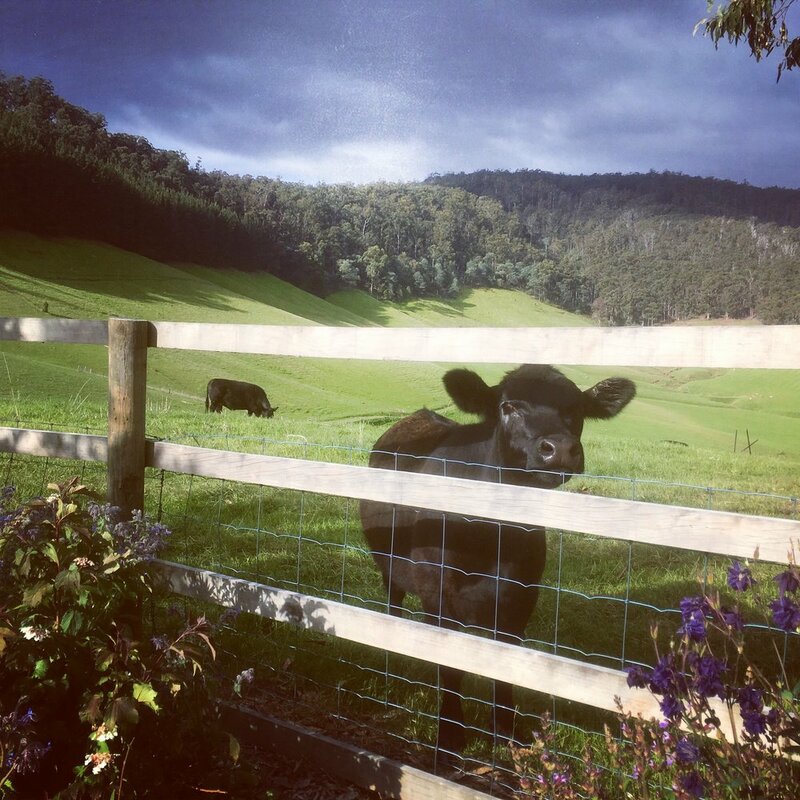 Let us introduce you to the people, events and places you might like to experience as Spring rolls through the exquisite Huon Valley in Tasmania's pristine South. Spring at the farm. Take a stroll around, so much new life to see. Or saunter to the dam in the big back-valley. First thing, or at last light, you might meet a platypus. Feel like a longer walk? Wander down the hill to Cygnet. Great coffee. Friendly locals. Intriguing little shops. Or just light the fire (it's still cool this time of year) and do absolutely nothing. We're delighted to let you know that we are now able to offer an exclusive wine-tasting experience here at Frenchman's River. Renowned food and wine writer and international wine judge, Winsor Dobbin. (www.winsordobbin.com.au, ) will exclusively offer our guests the choice of two bespoke, immersive wine appreciation experiences. This spring, Winsor will present "Taste Test Tasmania". Over one and a half hours, you and up to five other people (of your choosing) will taste 6 interesting wines - reds and whites - of differing styles. To compare and contrast "mainland" wines with similar styles grown in Tasmania. And, as the weather warms, Winsor will offer the "Refresher Test": a selection of wines geared to showcasing Rose and lighter whites. We love to support and highlight the amazing artisans creating the gourmet experiences of the Huon Valley. Recently we have been visiting our regions wineries, farmers and creators - the visionary makers here in the valley. And, we thought you might like some suggestions so you can enjoy the same lovely experiences that we have had while researching this blog post. Tas-Saff Growers Own Saffron Gin - Located in beautiful Glaziers Bay, this family owned award winning business have been producing the highest quality saffron grown in Tasmania for culinary, general health and lifestyle uses since 1990. Their Growers's Own Saffron Gin is distilled on site at the farm and infused with saffron twice, once as a botanical in the initial stages and again at the end for the colour. The farm shop is open to the public nearly all year round, but visit in April and early May and you might just see the beautiful Crocus Sativus flowers in bloom. Willie Smith's Apple Brandy - Take a tour of the Apple Shed and learn about the French art of Cider distillation. Using a Charentais alembic copper still the master distillers at Willie Smith's are producing Calvados style aged apple brandy and a lighter apple spirit, Charles Oats apple blanco. Uniquely Tasmanian spirits from Huon apples. Hartshorn Distillery Vodka and Gin - This new Tasmanian micro distillery have created award winning vodka and gin from sheep whey. With small bottle batches and hand painted labels this sheep whey vodka has just won Worlds Best Vodka at the World Vodka awards 2018. (we have tasted it and its fantastic!) Located at Grandvewe Cheesery in Birches bay we recommend tasting the incredible sheep cheese they create along with their award winning spirits. If there's one thing the Huon is renowned for, it's magnificent local produce. We can suggest Providores and seasonal farm-gate sales from which you can gather some of the freshest local produce on offer in Australia. And of course, there are weekly markets to explore - not just in Cygnet (first and third Sunday of every month), but Franklin, Huonville and Woodbridge as well. Nothings' more than 20 or so minutes from your door at Frenchman's River; and driving there is always a joy. We like our bags and aprons a lot, and hope you do too; you'll be able to purchase either if you'd like to take one home. As the weather warms and the days breathe out, not only the farm but the bays and beaches and river-banks of the region offer so many pretty spots to explore. Maybe it's time to slow down and enjoy a gourmet picnic. And, If you'd like us to assemble a collection of special local treats plus something interesting to drink, just let us know. We offer a range of prices depending on what takes your fancy - and can cater for special dietary requierments as well. 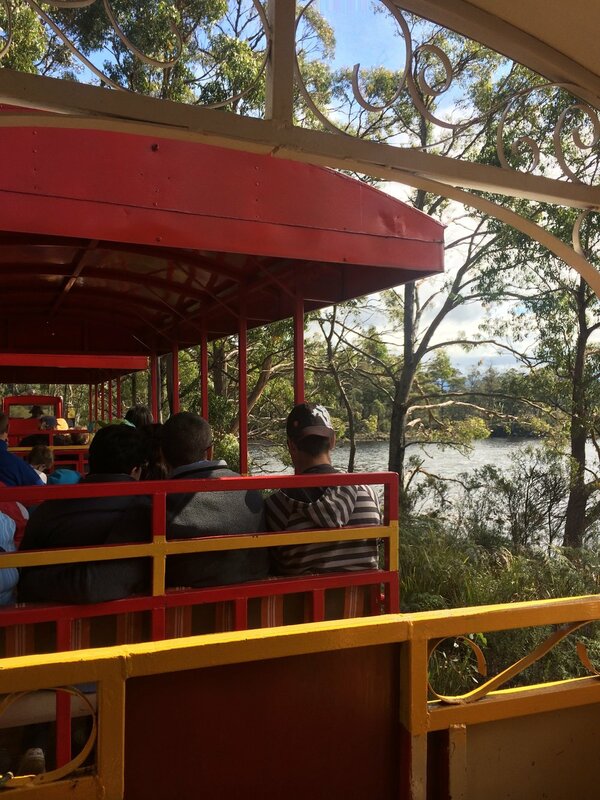 Ida Bay Railway have teamed up with SteamFest Tasmania to present a family friendly festival celebrating Southern Tasmania's unique railway heritage. Enjoy working steam engines, steam age exhibits, stalls with local products and journeys in the little red train as far South as any railway goes. 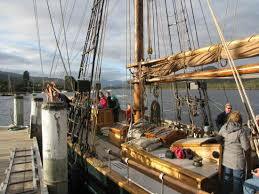 From 28th October 2018 join the Fat Pig Farm team for a Sunday lunch cruise down the mighty Huon river aboard the 80 year old Scandinavian tall ship the Yukon. Learn of the ship's amazing history as you savour a gourmet picinic of farmhouse Fat Pig goodies, local wine and cider and enjoy the views. This brand new event will feature local Huon Valley and Tasmanian musicians, comedy acts and other performing arts, as well as artisan stall holders offering local craft, art, food, wine, cider and spirits! Unique to this festival there will also be adventures and historic attractions, such as short tours to local tourist attractions, boat rides and more!